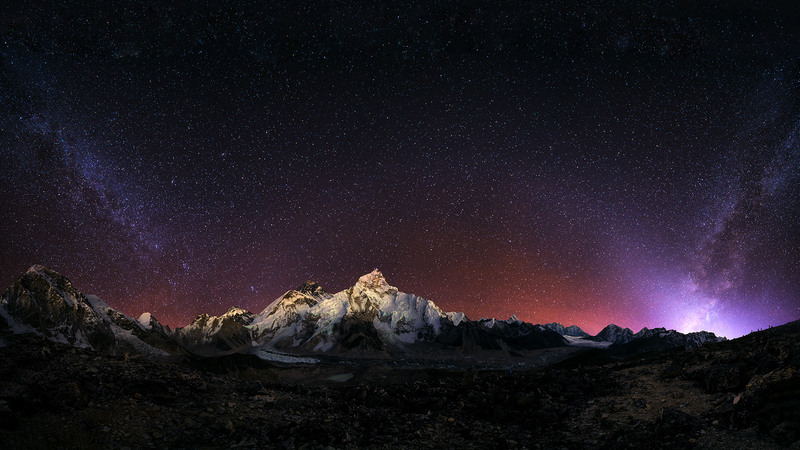 Everest Nightscape was possibly the single most challenging photograph I have ever taken. An adventurous 200+ kilometer hike through the heart of the Nepalese Himalaya with almost 10,000 meters of elevation gain brought me to this unreal scene at 5550 meters. A gigantic panorama of 16 ultra-wide angle shots was needed to capture the full extend of the Khumbu Glacier with Everest in the center, resulting in a mind-blowing 1.2 gigapixel image!